For our graphic studio each project represents a new challenge for the development of quality visual solutions. The basis for this is provided by our conceptual, graphic and technical know-how. Startup design pro offers professional graphic design services to your business and products. Thanks to our many years of experience and a vast network of clients, we bring your product image to the next level. Based on your idea, we take charge of the entire process from design to delivery and offer customized solutions for corporate design and printing. A professional logo with an identity design with an impactful and unique website design is certainly the best choice to show your new startup to the public. Whether to best present your idea to potential investors, or to launch a specific product or service directly online. To make a product or service attractive for the market, we offer a list of graphic design services that will help your visual comunication and will correctly reflect your strengths and style. If you already have a logo or a corporate image we will be able to include our visual design services to your actual identity in order to improve it, to make it more with scalable and in harmony with all your current communication. It does not matter how your company, product or service are attractive for the audience, if the logo does not correctly reflect your points of strength. I elaborated a process, which I apply to a professional logo design, aiming to make sure that the brand can communicate the values and points of strength of the company. Monochrome logo versions will be included, allowing cheaper printing costs if necessary, and to make the logo clearly readable also when its size is a small one. The files for the printing will be supplied in scalable vector format (AI, EPS o PDF) and in raster format for the web (transparent PNG). The colours of your future logos will always be defined according to international standards (PANTONE), so that they can be easily printed by any professional printer around the world. Discover how we design a professional logo. If you are interested in obtaining a professional logo restyling, that keep the original identity and soul of your actual logo, but with a more modern and contemporary style, do not hesitate to ask a logo design quote. We offer the restyling of your whole corporate image, and even for your website in order to upgrade your visual communication. Our graphic design services can adapt to you. If you already have a logo or a identity image previously designed we will be able to upgrade and improve your current identity, it will be conteporary and modern, and in harmony with your current image. See what does an identity designer do in order to improve and restyle your corporate design. The visual design is the base of our graphic design services. Based on your idea, we take charge of the entire process of visual design, from the creation to delivery. Visual communication designed for impact on your audience, whether online, in office documents, social networks, on Powerpoint or for everything you need. We work for several startups, small and large companies, who share common values: the demand for high quality graphic design services and the courage to open new horizons in communication. Check our high quality identity design portfolio! The design of a logo is not only the creation of the image of the logo itself, but also the creation of the whole corporate identity that surrounds it. The visual identity that we would create together will reflect the unique personality of your brand, create desire in your customers and amaze potential investors. 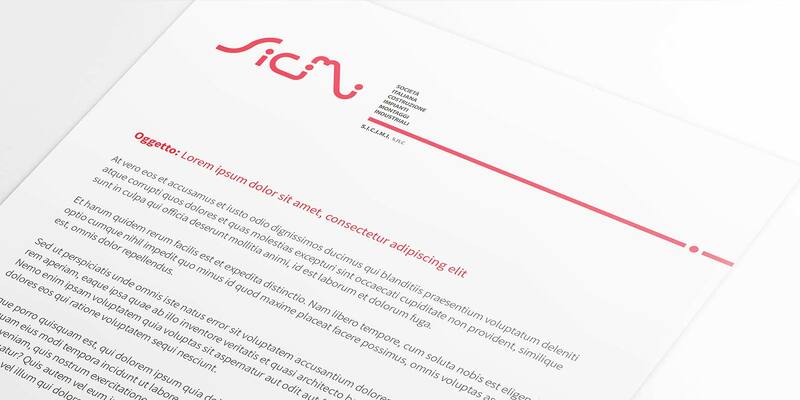 The standard identity design package include a letterhead, business card, html e-mail signature, logo style guide and all the materials you share with business partners or customers. See an example of corporate design, created for an industrial company. A PDF document will be created containing all the rules regarding the use of the logo and guidelines that characterize it. Through this guide it will also be defined how the logo can be used by individuals or third parties, minimum size rules of the logo for print and web, empty space to be respected (Clear Space), and in what circumstances the logo may be used on different pictures and backgrounds. See a logo style guide example. Under Print Design, we summarize our performance in the printing area. We design flyers, brochures, catalog design, advertisements and much more in required files format for printing. We can also monitor the quality of the print or, when needed, we can manage the entire printing process for you, and controll your print project through the end. This graphic design service is very important because it combines with your digital media, even with the traditional ones to have a balanced, scalable and global corporate design. Discover our graphic print design materials created for an Artist in Italy. Too often many companies and start-up, start to make a professional logo design (because it’s really important! ), but then they create their website online with ready-to-use templates (very cheap! ), trying to save most money then possibile. In a global world where everything is copied you will lose your capacity for distinction. Our graphic design services focused on the web, will enforce your corporate design and distinct you from the mass. Make your company, your product or your corporate design modern and your project irresistible on the web: Start to collaborate with a identity designer, a professional design will say more than thousand words. Being on the internet with a unique website design, that reflects your identity and values ​​is essential today. 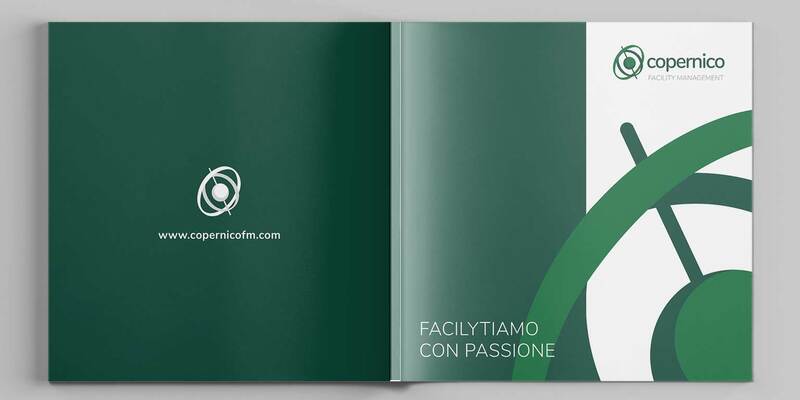 Discover a Corporate web design created for a facility management company in Rome. WordPress is an open source content management system particularly suited to blogs. Blog articles can be created and managed quickly and easily via the administration interface. WordPress is also easy to use for simple or more complex websites. We create design for professional wordpress websites starting from a template or from scratch. First of all, the web design idea will start form the logo and the corporate design. Immediately after, the study of your business and needs, to convey a style and a layout in harmony with your logo, to make your wordpress website design certainly unique and not imitable or even used by others. Check an example of wordpress website design created for a startup in Lugano (Switzerland). This is not really a graphic design services, but we garantee that your web page mockups will be created with optimized Google Friendly SEO code and compliance with W3C standards. This will allow to increase the keywords and visibility based on the contents and search criteria for which you want to be found. A customized design guarantees excellent results on search engines. Compared to a site created with ready-made templates, making a tailor-made design also guarantees a completely unique and targeted SEO optimization. All this will provide to your startup an excellent base for scaling the rankings on the web in terms of results. We offer also WordPress SEO optimization. First of all the logo design will also be sketched on real supports: a bottle, package, boxes, T-shirts etc… depending on what the customer prefers. Packaging Design plays a key role in the sales process. In a few seconds, the client must pay attention to the POS and the packaging must convey the brand’s identity design and brand’s story convincingly. Check our identity design portfolio to see how we design on real products (T-shirt, package, etc…). In addition to our graphic design services, we also offer creative design for your powerpoint documents and complete restyling of your company presentation to proudly show it to possible investors and customers. We will add more pleasant and homogeneous graphics, if needed we create infographics and flowcharts with modern icons design. It’s important to have a company presentation where the style and colors of the brand identity, are well defined. Your current excel graphs will have a better and professional design and style without lose proportions and previous values. Need a new and modern company presentation? First of all, the goal of a banner is to communicate values ​​and messages directly. The banner must persuade the user to click, and must be conjugated in different layouts formats without losing the global brand identity. 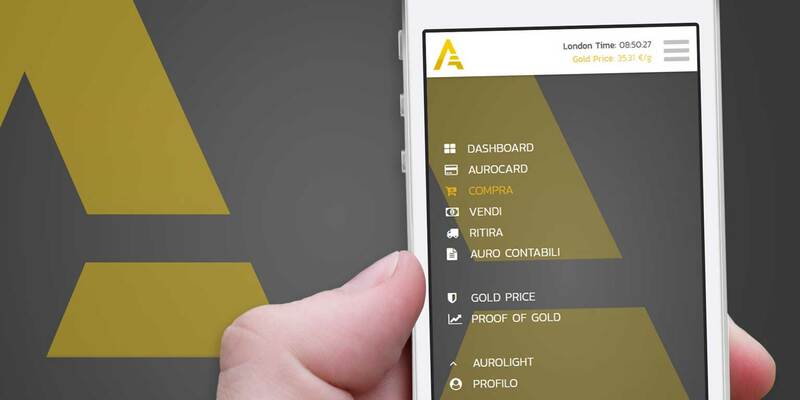 Discover how we design this set of ads banner for a London’s startup, with the whole corporate image and and app design. If you are a startup and you need high quality graphic design services you are in the right place! We always recommend a professional look to avoid unpleasant surprises. In addition to a professional logo, we also like to draw all your identity design, letterhead, business cards and other advertising material, so that you can appear serious and professional from the beginning! We are happy to help you if you already have a visual aspect, but you would like to update it and improve it, so that your brand returns fresh and contemporary. Discover which benefits the startups have working with an identity designer. Send now a design request to receive a quote for your startup. For non-profit and Onlus organizations we offer some of our graphic design services (professional design of logos and identity design) at reduced prices. If you are a non-profit association or a onlus organization, ask to us a logo design quote to start having a professional image and visual comunication even with few funds. See an example of a non profit logo design and corporate design created for a criminology Onlus in Italy. Do you need professional graphic design services? Need a logo design? responsive website design? Better a modern and complete identity design? Check out our design’s work and find out how we can help you! Send us a design request to get an offer based on your needs!